Merry Christmas! I love this time of year. Even though the weather seems to get worse every day, my spirits brighten more and more as I approach that happy holiday on December 25. That’s the day when I’m reunited with family members and we all get to do something kind for each other. There have been many films made about Christmas. Some of them do a great job capturing the excitement and wonder of this holiday, but the one that does it better than any other is, actually, not a film that was released in theaters. It’s an hour-long 1978 PBS special called Christmas Eve on Sesame Street. From beginning to end, this movie is both heartwarming and hilarious. I enjoy every minute of it, and I’d like to share it with you so you don’t miss out on all the fun. The moment I absolutely fell in love with this movie is just two minutes in when Big Bird and a little girl start ice skating together. At first, Big Bird is clumsy and nervous about falling down. But the girl patiently shows him how to do it, and soon they’re dancing and performing incredible moves on the ice. 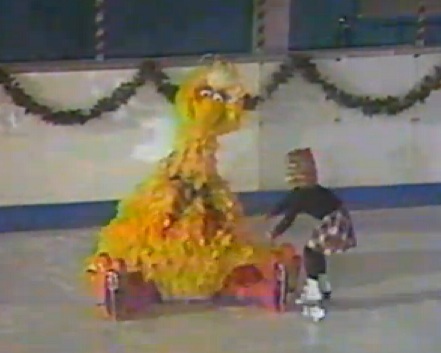 The best part is at the end when the little girl (who is an ice-skating pro) just hugs Big Bird like any kid would and we see that she really is just an ordinary-looking little girl with missing teeth. I love Big Bird’s transformation from shyness to boldness because as a kid I was really shy, but over the years I’ve become more confident in myself and eager to make friends. Seeing Big Bird succeed made an indelible impact on me, and I never forgot it. A song called “Feliz Navidad” plays during this scene. It wasn’t originally written for this film, but it is used masterfully to show Big Bird’s baby steps into a scary new world. I absolutely love this scene because the visuals and music are so charged with positive energy. Spanish is a beautiful language, and I love how Sesame Street uses it at moments like this. The whole scene comes and goes very quickly, but it perfectly sets up this film’s pace. This is a movie that takes its time to just show characters’ interactions rather than try to develop a complex storyline. I love all of the characters, so I can’t wait to see more. Christmas Eve on Sesame Street is packed with amazing music. I love the song that everyone sings as they take a subway ride to Sesame Street: “True Blue Miracle.” Just hearing people saying “I believe in miracles” is so refreshing when it seems to be less acceptable to believe in them all the time. I’ve already talked about my feelings on this topic in my article, “How I Know Miracles Are Real.” You’ll be humming this tune to yourself for quite a while after the movie is over. Bob was always one of my favorite characters on Sesame Street because in a cast of incredibly nice people, he still stands out as being the most likable. So it’s perfect that he’s the one who sings the song “Keep Christmas with You” along with a small group of children. The message of this song is so simple yet profound: don’t forget all the good feelings and memories you had at Christmastime just because it’s not December anymore. Try to be just as happy as you were then right now. I love Bert and Ernie. Bert and I share the same name, though I usually go by the first part of the name Robert, and he goes by the last. I used to be a bit prudish like Bert, but now I try to emulate the good qualities in both Bert and Ernie: playfulness at times but seriousness when it’s appropriate. Bert and Ernie each decide to buy the other a last-minute gift. But they don’t have any money. So Ernie goes to Mr. Hooper’s store and trades his famous Rubber Ducky for a cigar box for Bert to keep his paperclips in. A few seconds later Bert comes in and trades his prized paperclip collection for a soap dish for Ernie to keep Rubber Ducky in. I know the Muppets don’t have facial expressions, but somehow Bert’s cracked voice and downtrodden body language convey so much sadness, he makes me want to cry as he trudges out of the store. 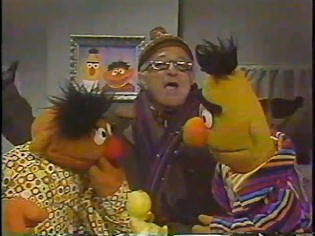 I didn’t realize that Mr. Hooper was Jewish until I re-watched this movie as an adult. That’s so cool because it deepens the meaning behind his actions. He puts the pieces together of what’s going on between Bert and Ernie, and he hurries over to their house to give them a couple of presents. He has perfect timing, too, because Bert and Ernie just opened their presents to each other, and they are about to cry as they realize the tragedy of the situation. Mr. Hooper saves the day by returning Rubber Ducky and the paperclip collection to their rightful owners. Bert and Ernie are so grateful, but they sadly discover that Mr. Hooper is the only one who didn’t receive a gift (or even any compensation) from all of this. But Mr. Hooper happily declares that he got the best Christmas gift of all: seeing everyone get exactly what they want. What a perfect example of Christ-like charity. And it comes from a Jew! That is a great message to send to children. It doesn’t matter what faith we belong to; we are all just as capable of kindness. This is a good moment to point out just how miraculous it is that this movie was even made. In today’s politically correct world, do you think people of other faiths (or no faith) would approve of using Public Television money to pay for what amounts to a program all about the spirit of Christmas? This would probably never have been green-lighted today. We have Christians wishing each other a merry Christmas, Christians wishing Jews a happy Hanukkah, Jews wishing Christians a merry Christmas, and nonbelievers (represented by Oscar the Grouch) saying they hate Christmas and trying to undo all the goodwill that others are building. I’m pretty sure atheists would be pretty upset by such a portrayal of these different groups and/or the absence of others. Christmas specials and films today lack the kind of magic that makes this film work so well. If you’re worried about offending people, you simply cannot make a good Christmas film. Christmas Eve on Sesame Street is unabashedly pro-Christmas, and because of that fact it feels so genuine and full of life. The main plot thread running through this movie is Big Bird’s attempt to figure out how Santa Claus gets down chimneys to deliver presents to children all over the world. Oscar plants the seeds of doubt in Big Bird, and suddenly it becomes a race against the clock to answer the all-important question of how Santa does it. To find out, he sends Kermit and Grover out to interview the usual suspects: a gang of the cutest and most insightful kids you’ll ever see on television. Their answers are absolutely hilarious. For example, when Grover desperately asks a little girl what will happen if Santa can’t get in to deliver all the presents, she calmly replies, “I don’t know. Maybe they’ll move.” These scenes are completely unscripted, so it’s so funny to see how Frank Oz and Jim Henson improvise with the children. 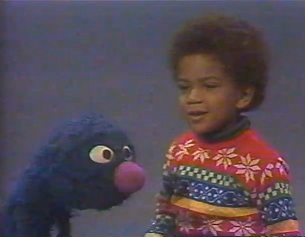 One boy says, while staring off in the distance and sounding distracted, “He’s got his keys.” Grover wonders, “What keys?” And the boy replies in the same detached voice, “Santa Claus keys.” At that point, Grover turns and tilts his head down as though he’s puzzled about the child’s answer. It cracks me up every time. Unfortunately, it appears no one knows how Santa Claus does his job. So Big Bird comes up with a crazy plan to wait on a rooftop to catch Santa in the act. But his disappearance worries everyone on Sesame Street, and soon they’re all out looking for him. Even Oscar joins in the effort. In a truly magical moment, Big Bird falls asleep and we hear Santa and his reindeer landing on the roof nearby. Then, as the camera zooms in on Big Bird’s face, we hear someone’s footsteps crunching in the snow, growing louder and louder until Big Bird finally opens his eyes and sees… nothing! No sleigh. No reindeer. And no Santa Claus. What does it mean that we heard those things, but we can’t see them? I think it’s meant to preserve the mystery of Santa Claus for children while also letting adults feel as giddy as children again for a few moments as we anticipate what Big Bird will see. 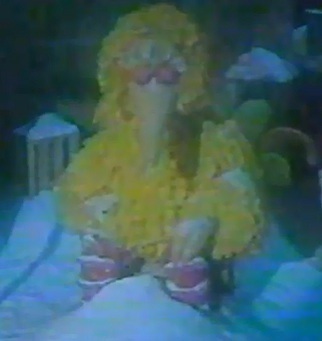 Big Bird realizes he’s freezing up there, so he comes back down to Gordon’s house to warm up. He’s dismayed to find that all the Christmas presents arrived without him seeing how it happened. But Gordon softly chastises him for such a silly complaint. He should be happy at the result, not the unseen mechanism that brought it about. The answer comes down to having faith. I love that! It shows that we don’t need all the answers right now. What difference does it make how Santa Claus delivers presents? My parents didn’t always have exactly the right answer to my questions, so I just had to accept some things on faith until I could figure out the answers for myself. I still take many things on faith, as everyone does. This doesn’t negate the need for hard work and patience to make good things happen. It just means that we shouldn’t be discouraged if we don’t see the big picture all at once. Big Bird ice skating with the little girl. Oscar swearing up a storm at Big Bird while a train goes by, thankfully drowning out everything he says. Bert bidding a teary farewell to his paperclip collection. Grover and Kermit interviewing children about how Santa Claus gets down the chimney. 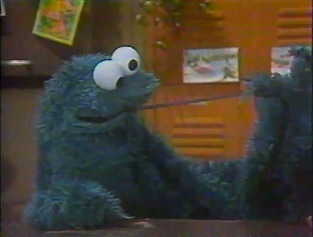 Cookie Monster trying to ask Santa Claus for cookies for Christmas, but he winds up eating his pencil, typewriter and phone in the process. Bert and Ernie singing a heartfelt rendition of Have Yourself a Merry Little Christmas. Keep this Christmas movie with you all through the year. I promise it will brighten your day and leave you smiling. After all, how can you not smile while watching Sesame Street? This is the Deja Reviewer, bidding you farewell until we meet again, and wishing you a heartfelt merry Christmas! 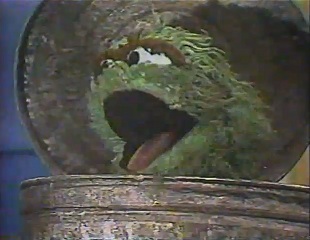 All photos from Christmas Eve on Sesame Street are the copyright of the Children’s Television Workshop. This entry was posted in Forgotten Film Gems and tagged big bird, children films, christmas, comedy, cookie monster, drama, feliz navidad, film score, films, fun, funny, grover, holiday, kermit the frog, movie review, movies, muppets, music, oscar the grouch, relationships, santa claus, sesame street, songs, soundtrack, spanish, television, TV shows. Bookmark the permalink.